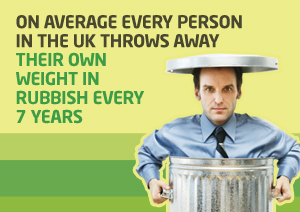 Our aim is to minimise the impact waste disposal has on your company while maximising the benefits for the environment. A Pulse Environmental contract means that from start to finish every aspect of your waste disposal is taken care of. Although you need not be involved at all, our electronically monitored bins and real time data system allows you to follow the process every step of the way. 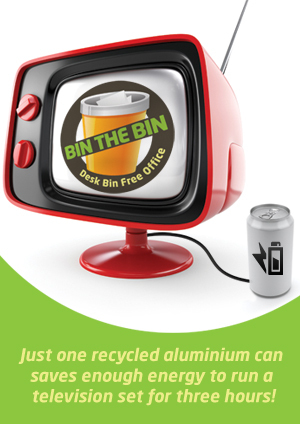 Our aim is to ensure nothing needlessly goes to waste. Once material reaches the processing centre, the goal is zero to landfill – where 100 per cent of all waste is reused or recycled. Step by step, this goal is getting closer, although the complicated nature of waste material means it has yet to be fully realised within the industry. But as technology changes new opportunities arise. We are constantly monitoring new breakthroughs and striving to implement them as they become available. The drive for a greener world has never been stronger, and with Pulse Environmental you will be helping to lead the way. The Pulse promise is our pledge to provide a high quality and competitively priced service which is fully compliant with all legislation. While we pride ourselves on our use of the latest technology, we also place great weight on old fashioned essentials such as reliability, value, knowledge and communication. 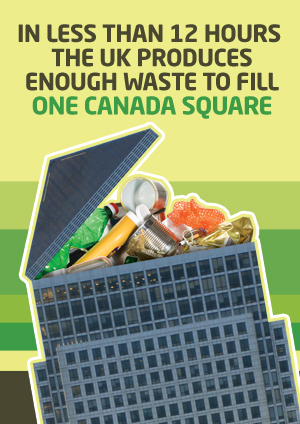 Just as waste has an impact on the environment, waste disposal can have an impact on businesses; missed collections, inconsistent drivers, poorly maintained bins and lax administration all have a negative effect on the day to day running of an office. 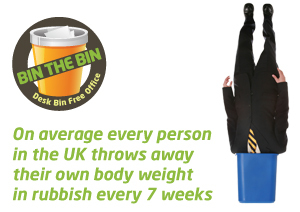 We will minimise the impact the disposal of waste has on your company at the same time as minimising the impact your company’s waste has on the environment. Reliability on collections. We have our own fleet of vehicles and carefully route them. Our drivers are fully trained, professional and courteous. Above all they have a “can do” attitude. A competitively priced service of the highest quality. We are confident that you will not find an equal service at a better price. Accurate feedback on what we collect and where it is going. We will keep you informed of exactly how much you are disposing of and what is happening to the waste once it leaves your premises. 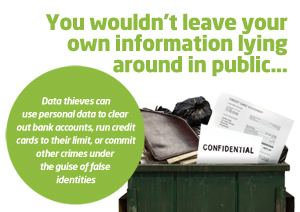 Our data tracking service allows you to access this information with a click of the mouse. Waste audits. These give a comprehensive breakdown of how much waste your company is producing and how it is being recycled and reused. Open and informed communication. Our team are on hand to advise and assist at any time; we believe communication is the key to achieving the best possible service. Flexible contracts. We will tailor the service to suit you, and as your needs change so will the service. Full compliance with latest legislation. We are fully compliant with all environmental laws; you will not need to worry about falling foul of legal obligations. Duty of Care. 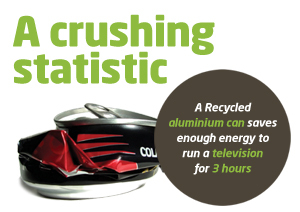 All waste is carefully controlled from collection to processing. For sensitive documents, our secure shredding service sees material tagged, secured and tracked before it is destroyed.